Did you know it's been five decades of climbing, zipping, riding, singing, playing, praying and all-round adventuring at Birch Bay Ranch? That's right, Birch Bay Ranch celebrated 50th anniversary in 2017! We'll be celebrating all year long by reminiscing with all of the people who have been a part of the Ranch or have been impacted of it all these years. We'll be sharing vintage photos on our Facebook and Twitter pages, as well as selling limited edition 50th anniversary merchandise in our Wooden Pan Store. And to thank all of our amazing staff members from the past 50 years, we'll be hosting our Staff Alumni 50th Anniversary Celebration Weekend on August 27th-28th. This activity-packed is for staff alumni and their families to reunite, catch up, and celebrate the truly incredible impact that Birch Bay Ranch has had on our staff, campers, rental guests and community. If you worked at the Ranch from 1966-present, register for the event and join us this summer! 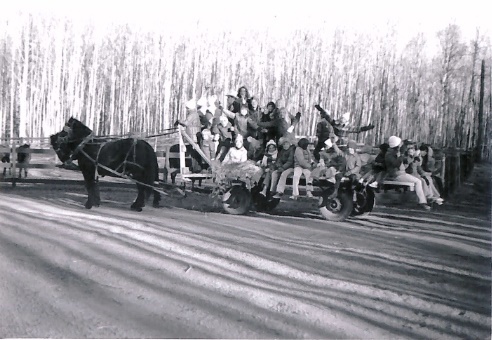 In 1966, the McCaughey family donated land to a church in Edmonton to be used as a camp for kids. Initially, the camp was only open during the summer months. The main lodge (or McCaughey Lodge) was built first, followed by some stand-alone cabins. 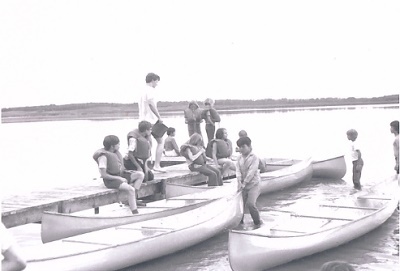 Activities offered included archery, canoeing and hiking. Soon horsemanship was added to the program, a popular activity that has been a staple of Birch Bay Ranch's activity list and what truly makes this place a ranch. In 1982, the Birch Bay Ranch Association was formed, and the Ranch became a non-profit organization owned and operated by the Association. Close to this time, new cabins, which were re-purposed ATCO trailers, were brought in to replace the old cabins. These cabins with attached washrooms are still used for campers today. 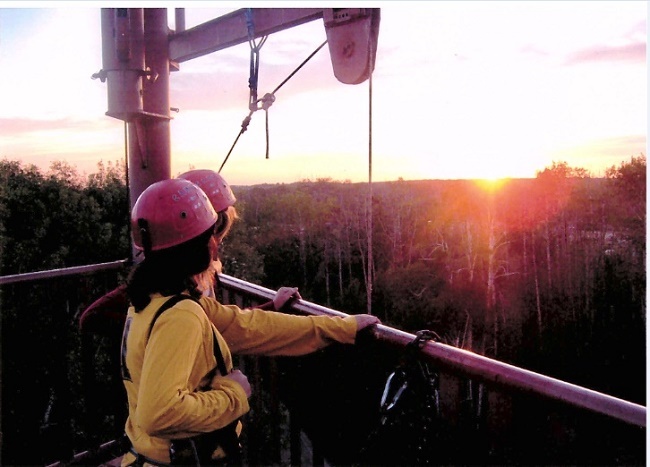 By the mid-1980s, construction began on a ropes course, which is now one of the most extensive high ropes courses in Western Canada and the Ranch's biggest draw. It boasts two climbing walls, three ziplines, ascending, rappelling and other activities. The 1980s also saw Birch Bay Ranch begin to operate more year-round, offering its activities to rental groups throughout the year. 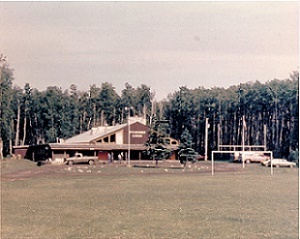 In 1997, the Cedar Lodge was added, housing the Ranch offices and providing another meeting area for rental groups. Since that time, Birch Bay Ranch has also put up a large, heated maintenance shop and a state-of-the-art heated indoor riding arena. Although the Ranch has seen many changes over the years, one thing has remained the same: that it's an incredible place where lives are transformed!